This movie is an odd one. Half musical,half movie and with a story that's highly untraditional. I absolutely love the cinematography, some of the scenes are stunning. Also the music is absolutely amazing. I can't believe the music isn't more famous. Some of the songs (Origin of love especially) are classics as far as I'm concerned. 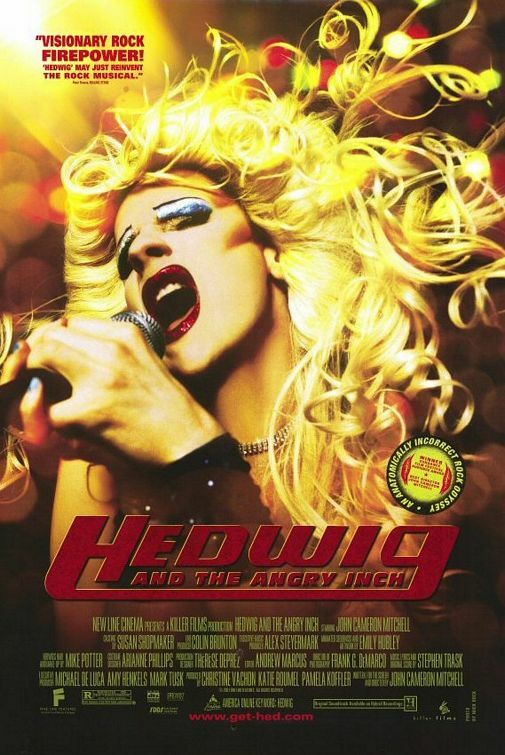 John Cameron Mitchell both wrote and directed it. He also plays the main protagonist. His performance is just excellent. Only thing I didn't like that much was the ending. It basically goes symbolic/abstract and I don't think it fits in with the rest of the movie. At least not as good as it could. All in all a very different, but also very good movie.